Way back in 1996, now-defunct Japanese developer ADK released a quirky little game called Twinkle Star Sprites for the Neo Geo. The game was nothing if not unique. 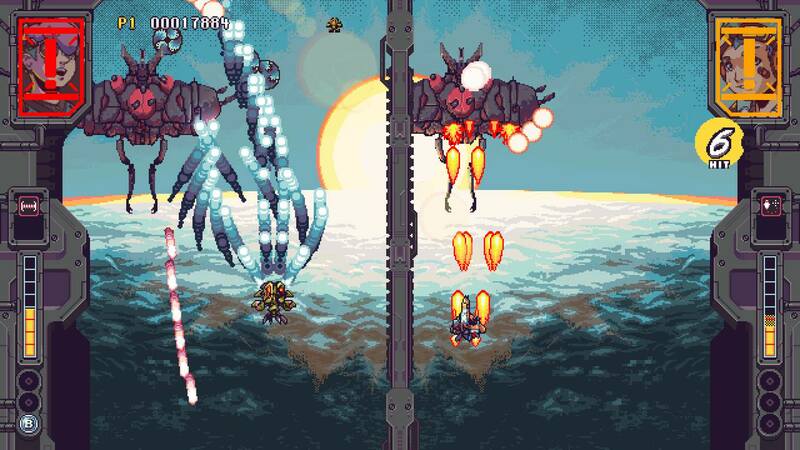 It blended the addictive competitive mechanics found in match-three games like Bust-A-Move and Magical Drop with the frantic, bullet hell action of the bullet hell shoot ’em up (shmup) genre to create something totally different and exciting. 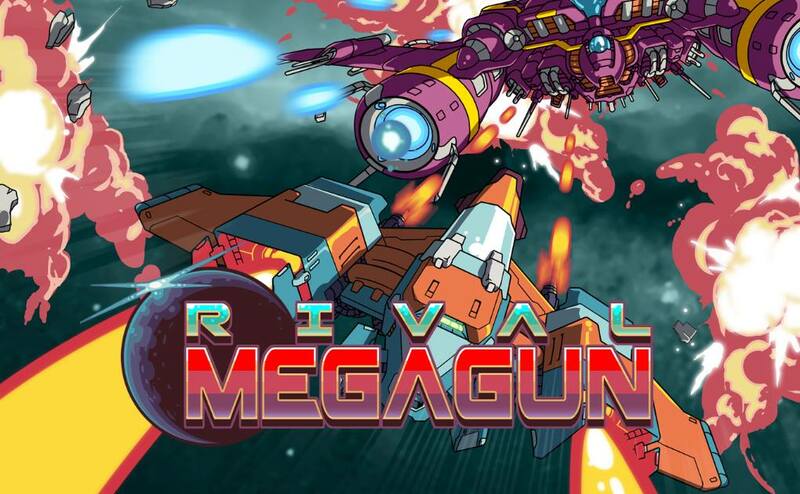 Now, more than 20 years since that quirky gem first appeared, publisher Degica Games and Vancouver-based indie outfit Spacewave Software have brought us Rival Megagun, a game that channels the same adversarial shooter spirit that made Twinkle Star Sprites so irresistible. 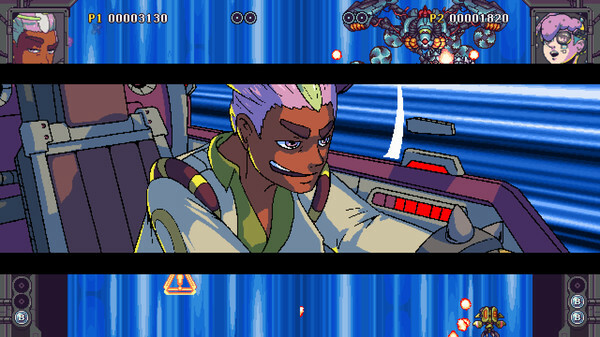 Featuring vibrant 2D visuals and a pumping chiptune soundtrack, the game certainly looks the part of a long-lost relic from the glory days of the arcade. But does it have what it takes to keep you strapped into the cockpit, or does it crash and burn? Read on and find out! Rival Megagun allows players to hop into one of seven unique gunships to participate in frantic, one-on-one showdowns against either the computer in story mode or against another player in local or online multiplayer matches. The goal of each match is simple: destroy your opponent by either overwhelming them with enemy ships or by directly assaulting them with your special weapons. During a match, each player gets their own screen as they fly over the same stage. As you destroy enemy ships that appear on your side of the screen, you’ll unlock various ways to meddle with your opponent’s side of the screen. The main way to do this is to rapidly destroy enemies. This is called “chaining,” and it causes enemy ships to emerge from portals on your opponent’s side of the screen. That said, it’s always a good strategy to try to kills as many enemies as you can as quickly as possible to keep the pressure on your opponent. However, that’s not the only way to rain on your rival’s parade. Chaining kills also increases your special meter. This meter is what fuels special attacks that you can send to your opponent’s side play area. These attacks vary from gunship to gunship and can really throw a wrench in your opponent’s machinery as you lob energy walls, homing missiles, mines, and more in hopes of reducing them into space dust. Once your special meter fills all the way, you’re able to unleash your ultimate attack by transforming your gunship into a monstrous, “boss” style ship that dominates the screen. These mighty machines have numerous weapons that fill the screen with pulsating projectiles and beams of pure, devastating energy. They’re by no means a win button though. Seasoned bullet hell veterans can still survive one of these encounters and return the favor while you’re left to recover with a fully depleted special meter. Matches in Rival Megagun move at a blistering pace. This high-speed action is far from mindless, though. You’ll have to pay constant attention to not only the enemies on screen, but also your opponent’s special meter and incoming attacks as your rival pilot tries to broadside you with volleys of special attacks. Admittedly, when I first fired up the game this was a bit of a trial by fire. However, it didn’t take long before everything clicked and I became fully immersed in the on-screen chaos. The key to success is finding a character that works for you. 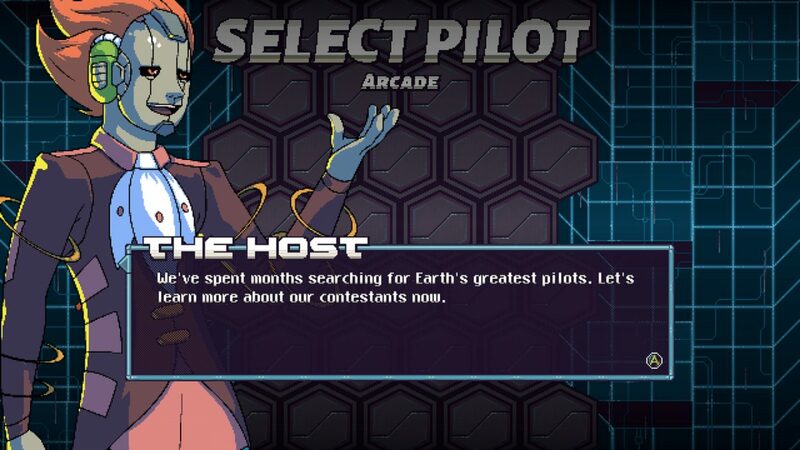 There are seven pilots to choose from in Rival Megagun. And each member of this rogues gallery of bizarre flyboys (and flygirls, and flybots…) has their own unique weapons and ship mechanics that you have to consider. For example, the retired supervillain Dr. Magic’s ship, the STAR Eon, may move slowly. However, its dense waves of bullets deal plenty of damage while his X Mine special attacks are incredibly hard to dodge. My favorite of the bunch is Buddy 2.0. This plucky little robot fires a beam-style wave of concentrated energy that makes short work of drones. His special Flank Missiles are the real MVPs though, creeping up from behind his adversaries and catch them unaware. These are just a couple of examples. Each pilot has their own quirks and strengths you’ll have to learn before acing them. And with so many to choose from, you’re bound to find one that fits your playstyle. Rival Megagun‘s story mode isn’t the most ambitious campaign out there, but it’s perfectly serviceable. The story is set in the near future after a race of aliens known as the Harvesters has ravaged Earth. To combat this extraterrestrial threat, humanity has launched a televised tournament where the world’s top pilots test their mettle. There’s isn’t much narrative here to speak of outside of the brief battle introductions and the ever-smarmy quips from The Host, an AI construct that presides over the tournament. 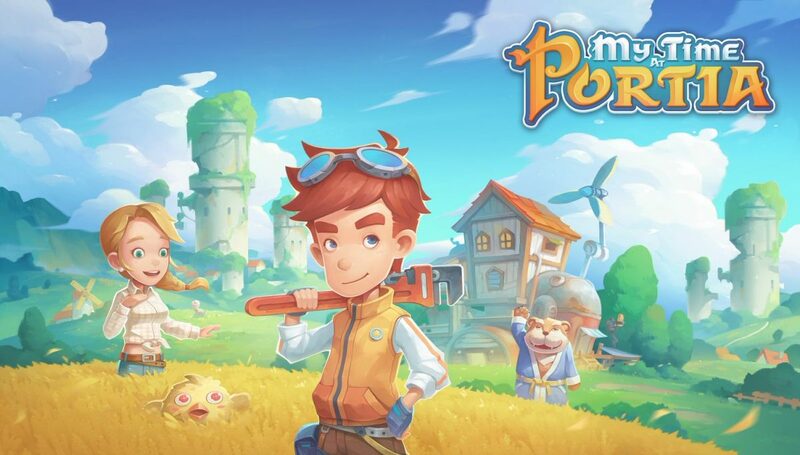 However, what’s there is very humorous, and the game’s motley cast of characters is hard not to love. The story, while brief, is entertaining and provides a solid challenge. Really, it’s the perfect way to hone your skills before stepping into the multiplayer, which is where Rival Megagun shines brightest. 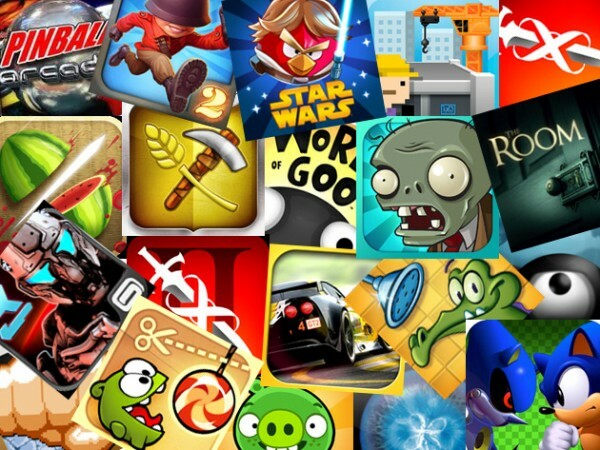 Couch competitive matches are an absolute blast and are sure to dominate your next game night. Online play is fantastic as well. Over the course of my review period, I never encountered a single instance of lag. 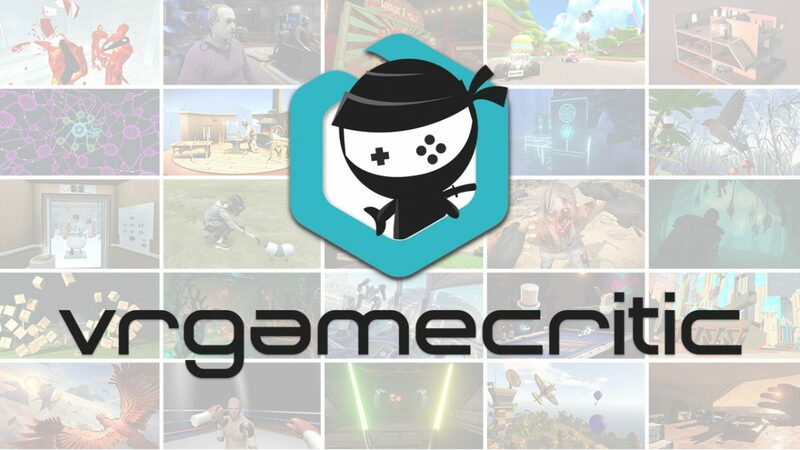 Add to that the addition of unlockable gear and cards and online leaderboards and you have a recipe for a game that will keep competitive players and score chasers coming back time and time again. When it comes to presentation, Rival Megagun looks fantastic. The ship sprites, character portraits, and backgrounds are colorful and full of personality. I loved the flashy effects for when your ship transforms into its ultimate form. And no matter how frantic the on-screen action became, the game never skipped a beat. However, that’s not to say it’s perfect. Sometimes the background elements can be hard to distinguish from enemy fire which can sometimes lead to frustration. Additionally, the large character portraits in the corners of the screen can often obstruct enemies which can lead to losing a chain or getting blown away by an unseen threat. Is this annoying? Sure is! But honestly, you get used to it after awhile. At the end of the day, Rival Megagun is a rare treat. 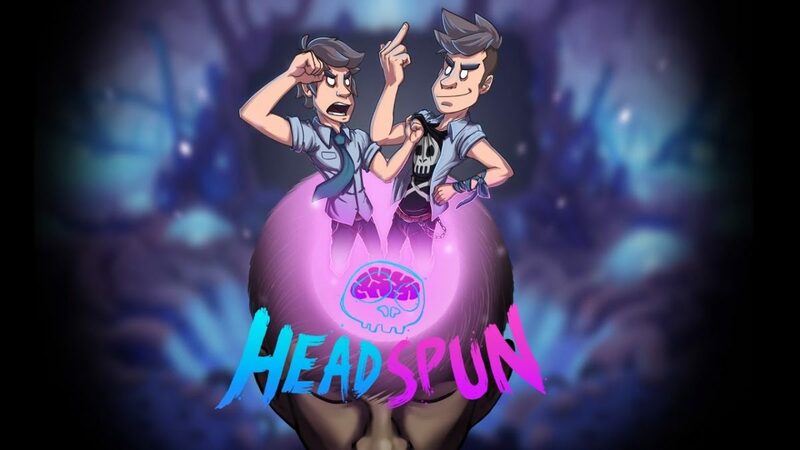 It’s a game that artfully fuses the competitive arcade and shooter genres to deliver something unique and exciting. With a solid single-player story and a sublime multiplayer component, this bullet hell battler comes highly recommended.